Scientists at the Kitt Peak National Observatory in Arizona have spotted a half-burnt white dwarf star hurtling across the galaxy. They think the unique star, described Thursday in the journal Science, was launched by an exploding supernova that didn't entirely destroy it. If confirmed, it would be the first direct evidence of these unique supernovae. Why it matters: Recently, researchers discovered a type of dim supernova. These mini-novas are thought to be formed when a white dwarf partially explodes. If that is what sent this star flying, it could confirm that theory. What happened: Once small or medium-mass stars (like our own sun, stop using hydrogen) they expand to red giants. Red giants normally fuse carbon, but if they don't have enough mass to do that, carbon and oxygen will build up in their cores and eventually the Earth-sized ultra-dense white dwarves are all of the star that remains. Getting explosive: It's thought that white dwarf stars can only support so much mass because of their unique chemistry. 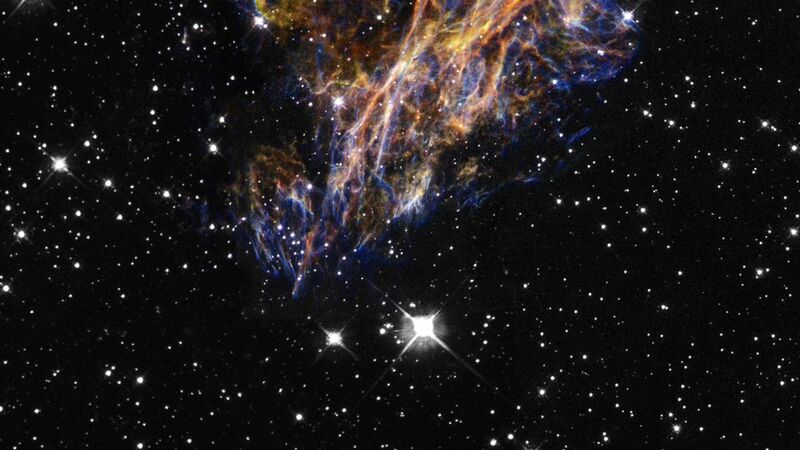 Once they pass an upper mass limit, they can explode in a particular type of supernova (type 1a). Some scientists think another, dimmer type of supernova called a type 1ax starts the same way, but only ruptures part of the star. It's possible that's how LP 40-365 began its journey. What they know: The unusual speed of LP 40-365 is the first clue: it's traveling really fast, fast enough that it could escape the gravitational pull of our galaxy. LP 40-365 is also fairly light, like part of it burned away in a supernova. Finally, the researchers looked at the chemical composition of the star and found that its atmosphere contained elements like aluminum and silicon, both of which scientists expect to show up in white dwarfs ejected by this type of galactic explosion.